CoreChair is not a traditional office chair. 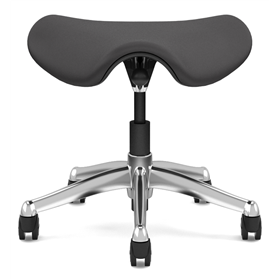 It breaks the mould with an ergonomic chair that promotes optimal sitting posture and encourages movement. Healthy sitting has never been so much fun. The revolutionary design of the CoreChair helps you remain active and in shape at work without compromising comfort. Numerous independent studies and thousands of inspired users are effective evidence of the design. Use CoreChair and be healthy. The CoreChair's mechanics are completely versatile. 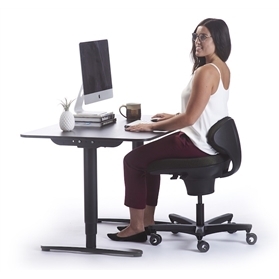 The user stays upright based on their own strength, using continuous micro movements of the skeletal muscles, thereby retaining a perfect upright position without any conscious effort. This gently strengthens the skeletal muscles and prevents poor posture and back issues. The complex mechanics enable the resistance and therefore the intensity of the movement to be adjusted to the individual user. Do something for your health over the long term and invest in a CoreChair!